Looking for alternatives to Huddle? Tons of people want Team Collaboration software to help with task management, search, and user, role, and access management. What's difficult is finding out whether or not the software you choose is right for you. We have compiled a list of Team Collaboration software that reviewers voted best overall compared to Huddle. Based on reviewer data you can see how Huddle stacks up to the competition, check reviews from current & previous users, and find the best fit for your business. "The best Tasks organizer without doubts: I love the easy way to edit my documents from the comfort of my office since receiving thousands of messages from customers a day is a very complex job but Paper dropbox has been my salvation and it is very easy to create an account and customize the program to everyone's pleasure. " "Achieves the collaboration of the work team thanks to the power of Quip: Quip has a great variety of very good tools to manage groups of people in efficient work teams, spreadsheets, checklists and chat tools that are very useful because they allow us to be aware at the same time of all the updates made without send emails and much less have to organize unnecessary meetings, your mobile application is very useful to be distant from the work area, with the chat we can comment on updates being instantaneous visualizations"
"Airtable is a a powerful, yet simplistic project management tool: Airtable is like a beautified spreadsheet. We use it for project management and also for some lightweight content management. I like that the ramp time was easy and the tool is easy to use. If you have experience with excel the tool is intuitive. It allows for us to collaborate easily and also have your own view. It took a bit to figure out our own strategy with project management but through all the changes Airtable was able to keep pace." "JIVE is amazing! : Their customer support - they answer so quickly and help is on the way within a blink of an eye. All I have to do is open up a live chat and then all the sudden they are helping me left right and center. It truly is amazing, working with the company Jive. Love the experience. " 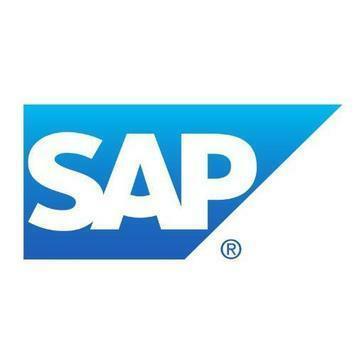 "SAP for Project Management: I think it's really beneficial that there are so many transaction codes that are aimed towards finding different types of information, that is suitable for different roles. The different codes allows to display items in different formats which is really nice and ideal when it comes to progress report presentations. The excel export function is also really useful, it allows you to extract the exact information you need and then allows you to filter the information as needed. " CA Flowdock is a collaboration tool for teams. CA Flowdock integrates a team inbox and chat, and is integrated with over 50 tools and services. "Let the communication flow with Flowdock: Flowdock is an excellent tool for the integration and management of equipment, if interface is very nice and intuitive, it is a software very easy to use, and it offers you a simpler free version so you can try it, besides you can link Flowdock with other services such as email, and many other platforms. The chat is incredible, very appealing to the eye and gives you the option to personalize, improves communication with both my colleagues in the customer service department and with other departments, we can also create groups or create an individual chat for each person, another super useful thing is that it works on both your computer and your cell phone. Communication, simplicity and integration in a single tool." "Worth using: Cisco Webex Teams provide various sets of web conferencing services. It means segmenting the experiences into several appropriate contexts. As a result, we can position solution offerings optimized for different use cases. At the same time, they maintain a common interface and intuitive features. Meeting Center, Training Center, and Event Center are the most important ones to use since they constantly break groups. This software is regularly updated and possesses great functionalities such as an awesome mobile app." "Just what we needed for our small law firm. : Hive allows us to sign and manage tasks almost effortlessly and monitor progress through various task layouts." "Good Way for Companies to Communicate: The feature that I like most about Honey is that the messages or posts are professional and clean looking. Keeping things looking professional is a must for any service that my employer utilizes. I also really like that you don't have to have a social media account linked to Honey in order to use it - something that so many services request now-a-days in order to access their service or product. My co-workers and I are able to fully utilize Honey without having to connect it to our personal social media accounts - this helps to keep it professional. Another thing that I like about Honey is its search feature. Honey allows you to easily perform a search and retrieves organized and relevant results. This is important as it saves a lot of time." iMeet® Central (formerly Central Desktop) is a powerful collaboration solution that enables teams to collaborate around files, combine knowledge, inspire ideas and manage projects—at any time, from anywhere in the world. "iMeet Central: a sleek and simple project collaboration tool: iMeet Central is an easily customizable product per company and per project. They are a great solution for project management and collaboration. There are hardly any problems that don't have solutions addressed in their Help Center. Their support team is responsive and helpful and all suggestions made to their product team have been addressed." A collaborative platform that eases information sharing and communication. "Excellent management assistant: Made our everyday life much easier : notices are read and implemented immediatly. No more delay or mis-information. Ease of use, everyone - external project guest or member, connects easily, wherever he is and whatever equipment he has at hand. interactive - team rooms, chats, project groups, it has a wide range of uses and responsive : everyone using it can comment instantly "
XWiki is the next generation wiki, a feature rich tool that as opposed to other tools is secure, easy to use and more organized. At the same time it's a light and powerful development platform that allows you to customize the wiki to your specific needs. "the best idea organizer: It is a platform to build tools you can also develop applications can be organized can be shared xwiki is professional easy to find documents the system helps employees and companies to cope faster. We also use dedicated areas for speech." "People-focused and fun to work with! : It's the people behind Interact that make is such a great product. As with all technology, you will experience hiccups. But the staff at Interact want to hear about those hiccups and find the best solution, quickly. They always go out of their way to help us accomplish whatever we need to/want to accomplish and they are fun to work with! I truly love working on both my company's intranet (powered by Interact) and working with other Interact teams and customers, because they're so helpful and full of great ideas!" "Excellent workflows. : Workflows !! Without a doubt they are the letter of presentation of the software, which also allows to personalize the workflows so that the team obtains the greatest organizational advantage possible. The interface between the software and the user is very good and allows workers to manage the program without much practice. In addition, their technical support is good and they are always attentive with concise answers to improve the adaptability of the program." "Multi point audio conference or audio chat: Clear audio quality. Web based collaboration tool and it is very easy to connect via audio with internal partners (directory is clear). One could also use features such as uploading files or recording conversation. Also useful that I can see online status of all my contacts in directory. " 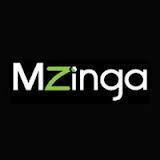 Mzinga's social business software suite, Mzinga OmniSocial, helps organizations create, design, and manage sophisticated social and knowledge-sharing experiences that improve brand visibility, workplace satisfaction, and customer loyalty - all from one platform. "OSL: Great tool for social engagement between employees. Also helped with developing social business aspects, social learning, ongoing communication, collaboration, knowledge sharing, and peer support." Hallwaze Inc.- is a provider of a Cloud based Rich, Interactive, Social & super Secure Collaboration & Messaging Platform for Enterprises. In today’s competitive world, innovation and collaboration are fundamental to success. Hallwaze fuels innovation and triggers 360 degree collaboration in your enterprise. 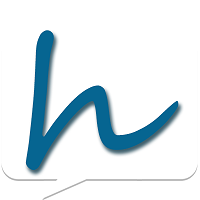 "A feature rich collaboration platform for teams: I love the polls, droplets and hallwaze chat. Other than sharing files, commenting and sharing updates. I use droplets to co-edit my work with my other team members." 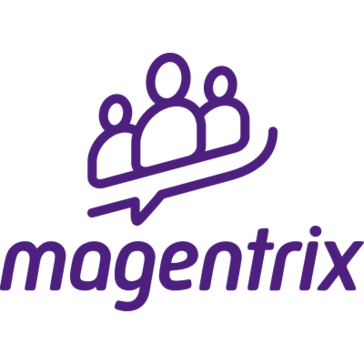 Magentrix Employee Community provides a complete integrated solution designed to allow help employee collaboration, regardless of thier location. "Has potential to be something great! Still needs some work: Can be used as a phone directory for global offices - could get more engagem"
Same-page is an online platform thar help manage, organize and share files, ideas, projects, calendars and contacts. eStudio is ease to use, improves workflow and increases ROI.
" 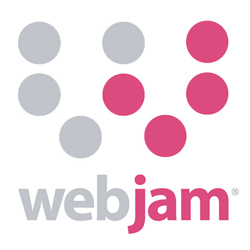 General software that allows you to manage projects from documentation to FTP storage: The possibility of monitoring and monitoring the assignments in a work team, allows the management of multiple users, the management of them, the assignment of activities and the monitoring of them, their versatility allows not to limit it to an item can be used in different markets"
Webjam is an online platform to create customisable, purpose-driven social networks with the flexibility to control what is shared with whom. "Great software for networking: I like the way its been set up to reach customers and their customers which helps in better collaboration with each other." Hi there! Would you like help finding solutions similar to Huddle?